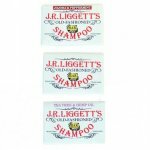 J.R. Liggett's Original is 100% vegetable oil formulation that lathers quickly, cleans well, and rinses out easily. 100% non-detergent, no conditioner required, and is great for allergies and sensitive skin! It just smells clean. 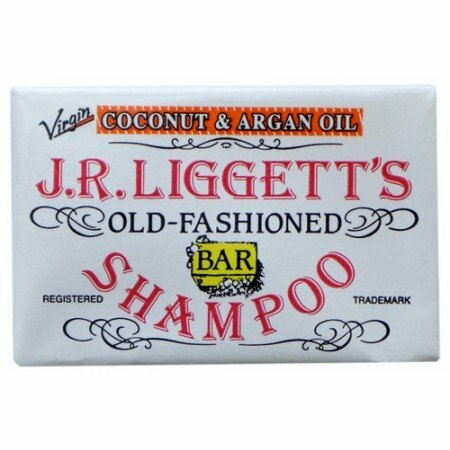 Coconut & Argan Oil: Coconut adds a lovely feel to this formulation, complimented with the added Argan oil it conditions your hair. Jojoba & Peppermint: Mild and wonderful with a slight fragrance from the peppermint, but not overwhelming. 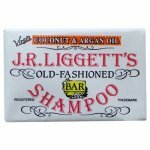 Original: They introduced this formula over 30 years ago and is the basis for their line of shampoo bars. Just smells clean! Tea Tree & Hemp Oil: People with sensitivities and skin problems prefer this formulation for it's safe anti-bacterial properties.